Mpumalanga is the most beautiful province in South Africa. OK, that's my humble opinion. I love the table mountain, V&A Waterfront and the Kango Caves of the Western Cape, the beaches and adorable small towns of the Eastern Cape, the hole in the Northern Cape, diversity and possibilities in Gauteng, etc. But Mpumalanga is just full of surprises. That's not because of Kruger Park or any of the wild animals, nor because of Sir Richard Branson's home but because of its surprising beauty. This is the reason I choose to drive, time and time again instead of flying between Pretoria and Maputo. I love the curved roads, driving through the mountains, breathing clean air from the forests that line the N4, and the beautiful small towns all the way. I love it. 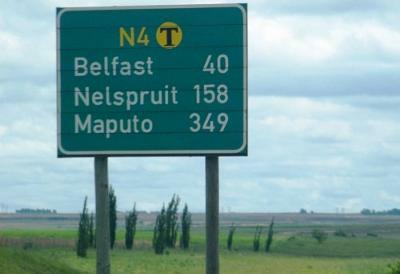 What's your favourite province? Leave a comment by clicking on the link below.